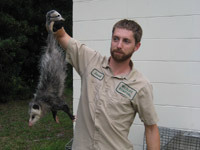 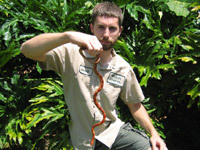 Opossums have prehensile tails. 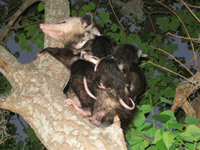 A female opossum and her young. 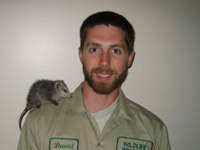 This little opossum is no threat to bite. 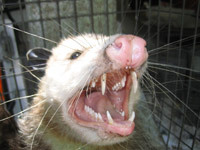 The fearsome opossum has 50 teeth. 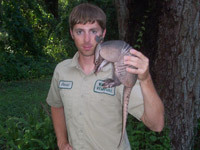 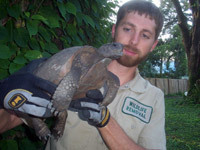 Small armadillo caught by hand. 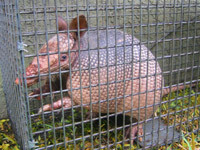 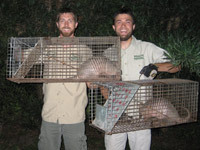 Armadillo caught in a cage trap. 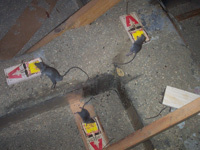 Two dillos removed from one hole. 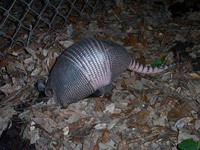 Armadillo digging for earthworms. 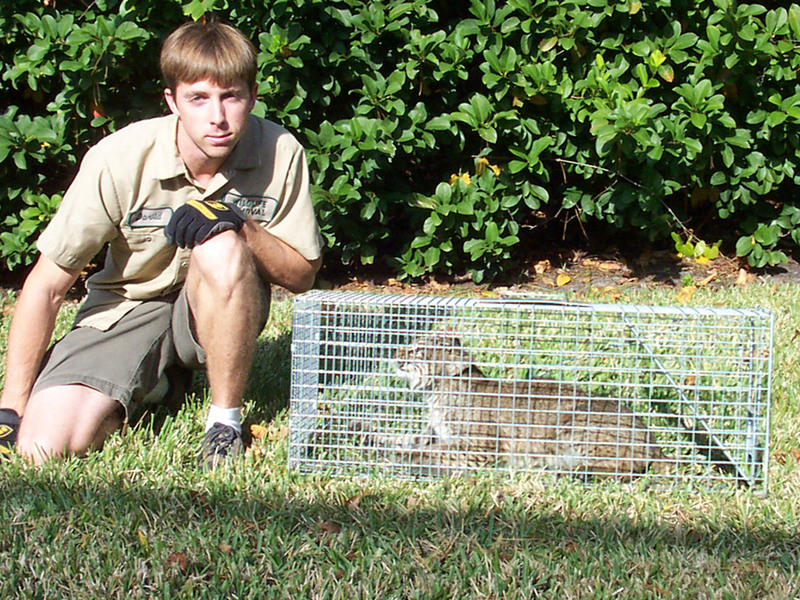 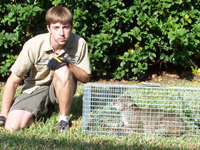 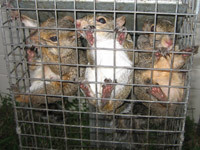 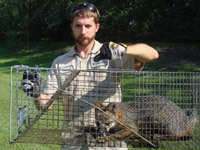 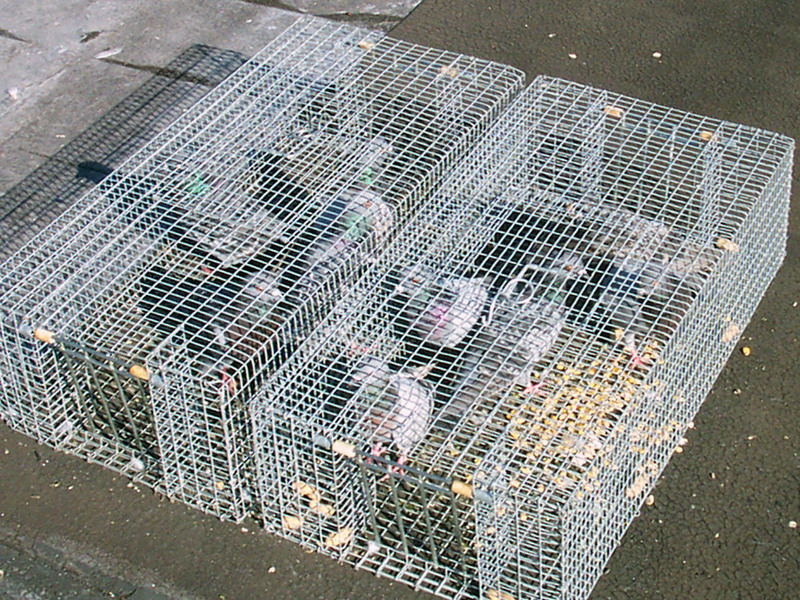 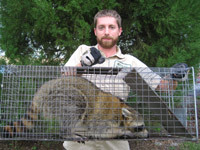 Five squirrels caught in humane traps. 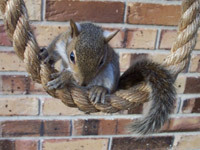 A young squirrel on a rope. 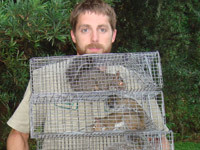 Three squirrels in one trap. 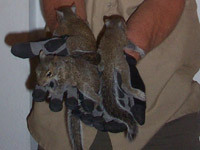 Baby squirrels in my hands. 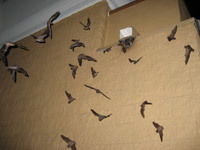 BATS - Click here for the full bat photo gallery. 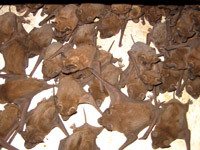 A huge swarm of Free-Tail bats. Hold it gently! 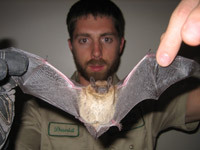 This is an Evening Bat. 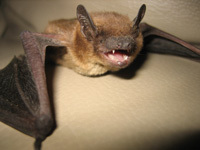 Closeup shot of the Evening Bat. 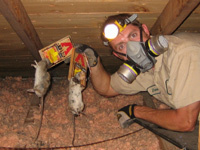 An colony of bats in an attic. 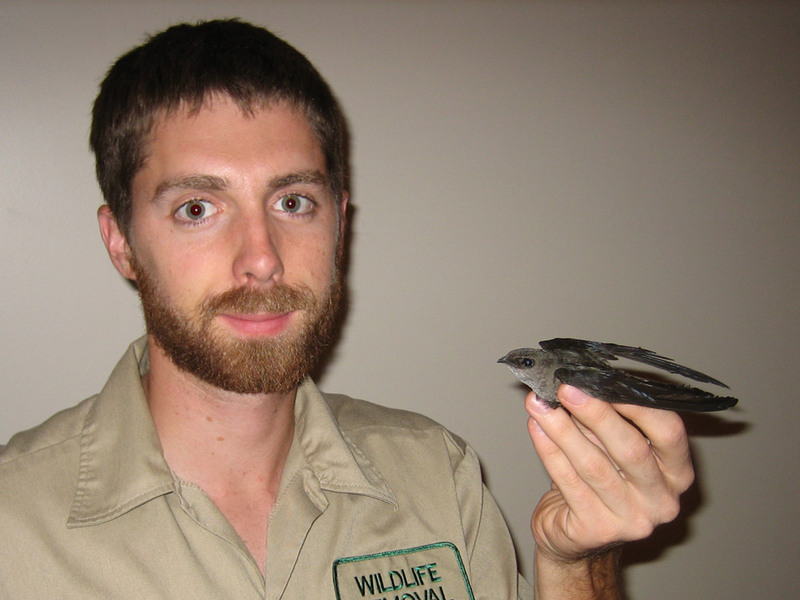 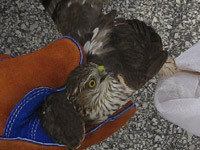 BIRDS - Click here for the full bird photo gallery. 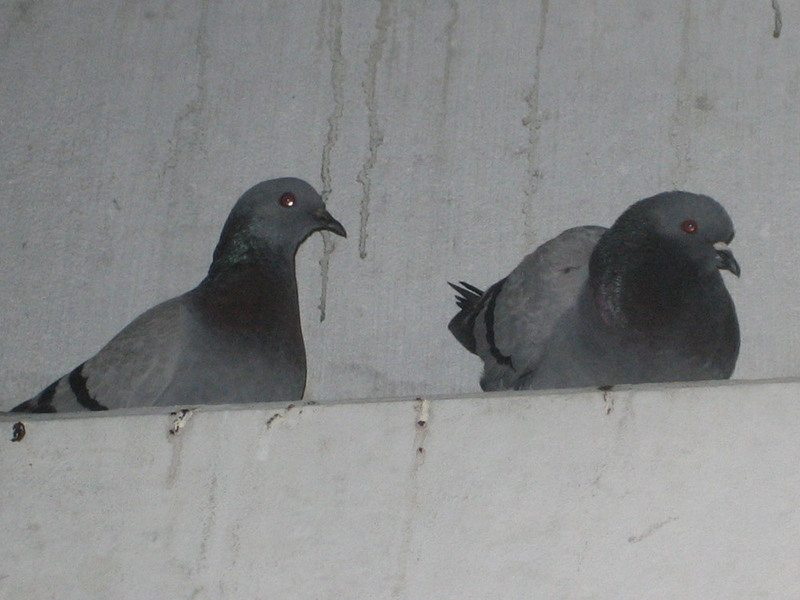 Pigeons roosting at a car dealership. Pigeon trapping at a water park. 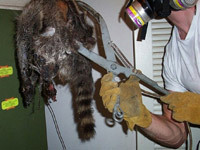 Bird removal from inside a house. 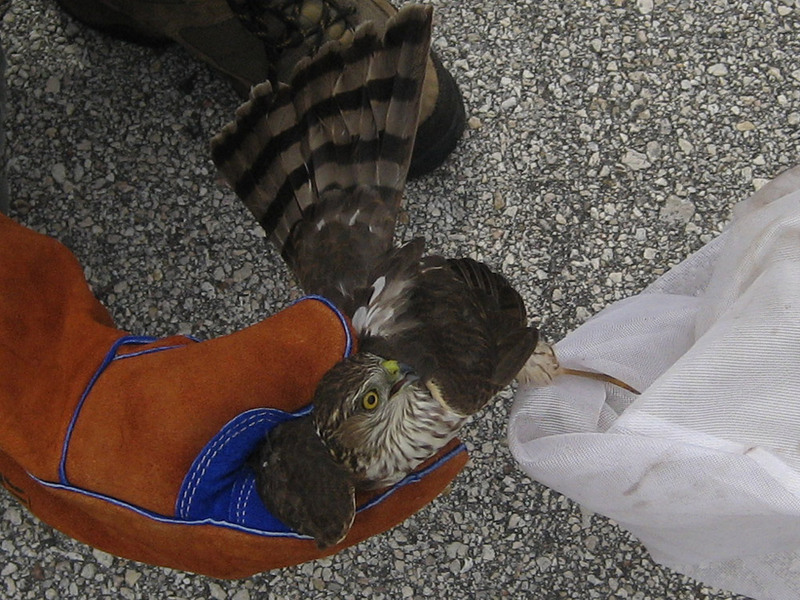 Removal of a hawk from a retail store. 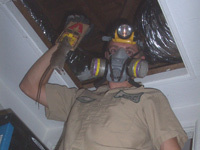 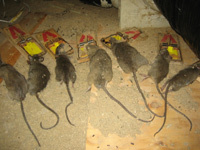 Rats trapping in an attic - my specialty. 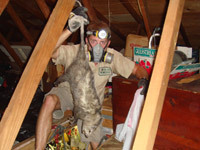 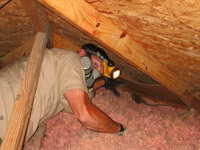 Coming out of an attic with a trapped rat. 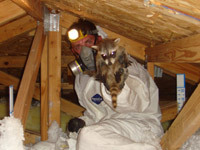 Seven big ones from this attic. 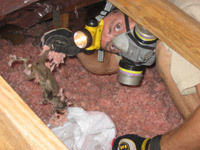 This attic was loaded with rats. 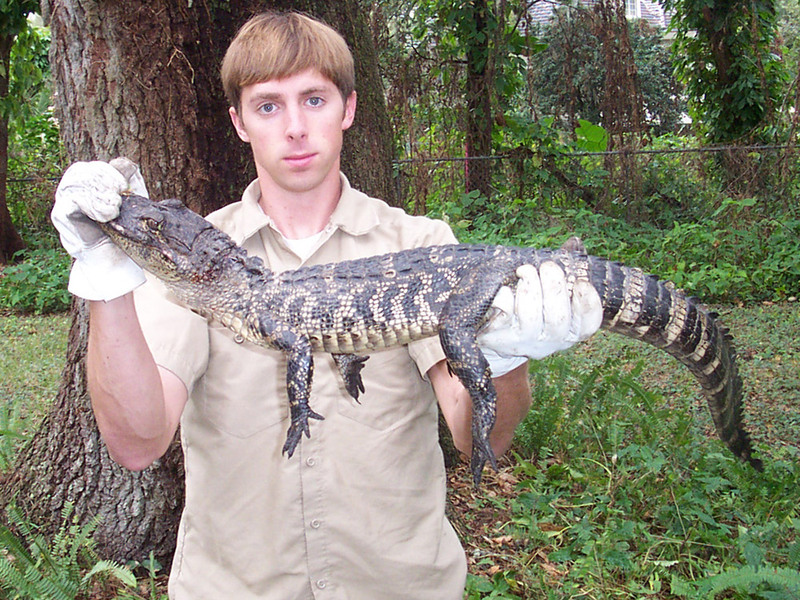 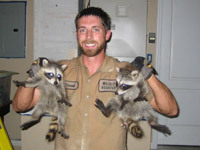 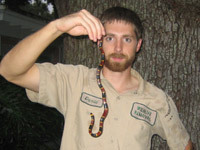 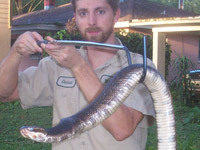 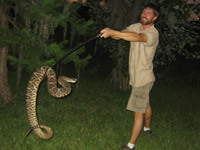 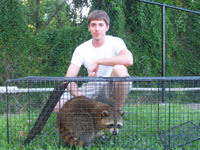 DEAD ANIMALS - Click here for the full dead animal photo gallery.